This is a Kimber Compact, a compact 1911 handgun in .45 ACP. This pistol is an excellent tool for concealed carry and personal protection. The Kimber Compact is a stainless steel, single action handgun. 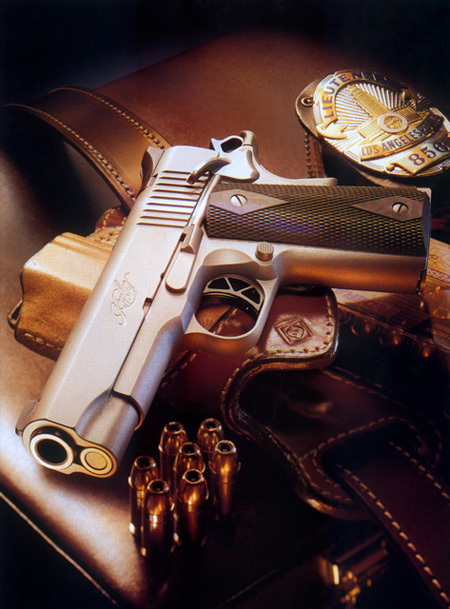 The pistol is the preferred choice of many armed citizens and police officers. Kimber is considered by many to be an excellent manufacturer of firearms.